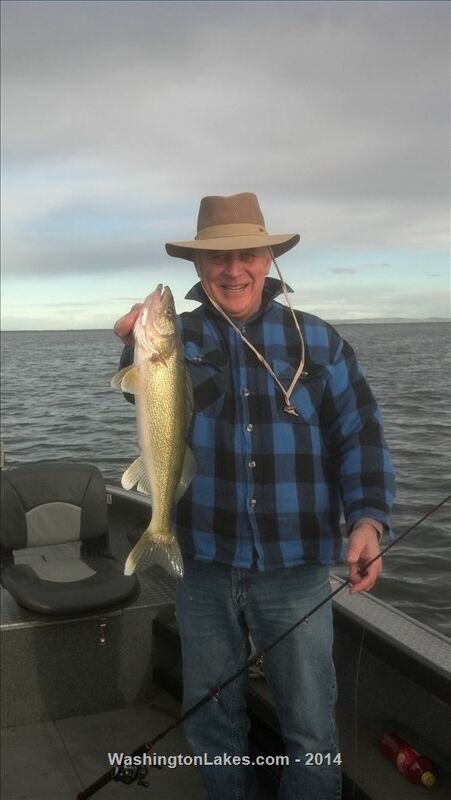 Spring walleye fishing simply does not get better than it is right now! Fished Thursday and boated 19, Friday 17 (all released), Saturday 30 with a 21" big fish, and Sunday afternoon 24 with a 23" big fish and 2 21". Fished the mouth of Lind coulee, the face of the dunes, and crab creek. Caught walleye from 12' to 50' in all these areas! Color is less critical than the right speed and the bite is slow, use the rod holder or be very patient to let em eat enough worm before setting the hook. There are lots of little guys but some great numbers of 16-18" eaters and more big fish starting to show each day. Get here and reel some in! Very limited openings for the next two weeks available. Also the week of April 28-May 2 I run the annual pre-tournament special, full day trips with half day rates! Me and my boy fished with Shelby and had a great day on the water. For you dads or moms out there wanting to get your kid out, this is a great trip. LOTS of action to entertain them and lots of wildlife to look at as well. Shelby was great with my boy and we will be back soon. 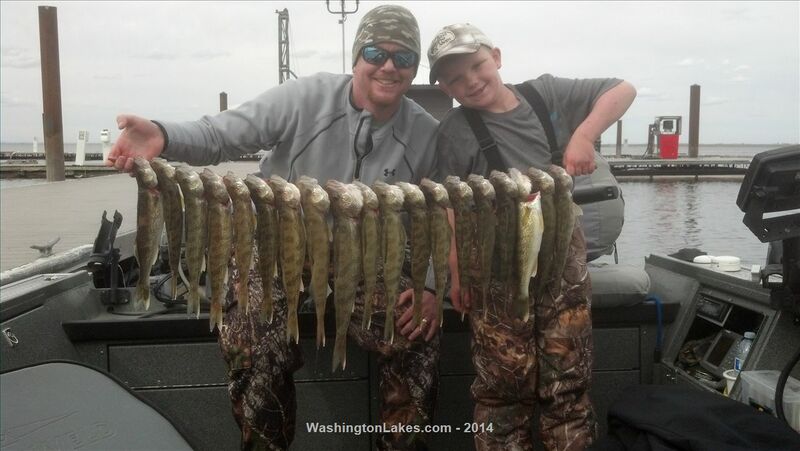 My son and I went out on Saturday and caught 20, kept 13. Learned what and how to catch them from Shelby! Thank you for your business! Helping kids get the fishing bug is one of the greatest parts of my job!